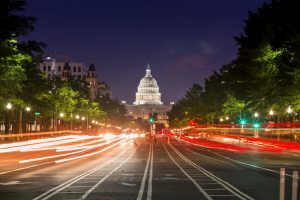 The National Association of Chain Drug Stores mobilized an impressive array of pharmacy advocates earlier this month to inform, educate and motivate members of Congress and other federal officials about the need to support policies that enable members of the profession to serve patients effectively. The 424 pharmacy proponents — including key executives from many of the nation’s largest chains, frontline pharmacists and pharmacy students — who assembled in Washington, D.C., for NACDS’ 11th annual RxImpact Day delivered a clearly defined message at a time when the industry is being asked to take on a greater role in health care delivery and help address such pressing problems as the opioid epidemic and the need for pharmacy operators to be reimbursed fairly. Industry advocates had a strong starting point from which to make their case. Eighty-three percent of voters indicate that pharmacies are easily accessible; 75% are in favor of improving patient access to such expanded services as immunizations, routine diagnostic tests and helping patients manage chronic conditions; and 70% view pharmacists as a credible source of information about how to save money on prescription medications. Those figures and a host of others stemming from a recent poll conducted by Morning Consult for NACDS reflect a level of trust that is the envy of most other sectors. Despite the widespread public support, retail pharmacy finds itself under threat from inequitable payment schemes, none more onerous than direct and indirect remuneration under Medicare Part D. So-called DIR fees enable payers to charge back part of the payments made to pharmacies by the seemingly arbitrary application of ambiguous criteria. In addition to costing patients more, DIRs needlessly complicate the task of running a business, putting pharmacy operators in the position of not knowing whether a script is profitable until months after it has been filled. The financial uncertainty is calling the future of many independent pharmacies and small chains into question, and causing headaches for the big players. The top priority for participants in RxImpact Day during visits to all 535 congressional offices was to convince legislators to back a proposed rule issued late last year by the Centers for Medicare and Medicaid Services that would reform the DIR program, requiring that price concessions from pharmacies are passed along to patients. Another item high on the industry’s agenda was the need to win recognition for pharmacists as health care providers under Medicare Part B, which would improve patient access, especially in rural areas, to services traditionally accessed in other practice settings. Additional measures to combat opioid abuse, including legislation that would limit the initial fill for opioid scripts for acute pain to seven days, were also advocated. RxImpact Day was just the latest installment in a long-term project undertaken by NACDS and its members to embed the contributions of pharmacy as deeply in the minds of legislators and policy makers as they are in those of patients. The program, which has facilitated some 700 store tours by members of Congress since 2009 and includes a key contact component that puts pharmacy executives in close touch with legislators, has been remarkably successful in creating continuity. Many industry advocates remark that conversations on RxImpact Day with senators, congressmen and their staffers often pick up where they left off the prior year. The annual appearance of pharmacy advocates on Capitol Hill is equally important for the introduction it provides for new members of Congress to issues that have a direct impact on the health and well-being of their constituents. The 116th Congress includes 10 freshman senators and 101 newly elected representatives. The information and insights shared with the legislators by members of the pharmacy community will serve the industry in good stead going forward. The smooth unfolding of RxImpact Day and its sharply focused messaging, backed by advertising in publications widely read by policy makers inside the Washington Beltway, attest to NACDS’ organizational skill and discipline. Events outside the association’s control, however, can create new contingencies that need to be addressed. On the evening before RxImpact Day, Food and Drug Administration Commissioner Scott Gott­lieb abruptly announced his resignation, raising questions about the fate of important initiatives he championed, including lowering the cost of medications, speeding generic drug approvals, and reducing opioid abuse and vaping. Pharmacy operators are fortunate that NACDS has demonstrated its ability to, in the words of Anderson, “play the breaks,” both good and bad, to advance the industry’s agenda. That skill was perhaps best illustrated by the association’s success in convincing Congress to include several important pro-patient, pro-pharmacy provisions in the Affordable Care Act. NACDS’ knack for reacting to unexpected developments while maintaining a consistent, long-term vision, will serve pharmacy well as it moves to take on more responsibility for the well-being of patients.